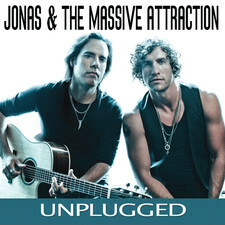 Juno-nominated rock singer Jonas is thrilled to introduce his new band Jonas & The Massive Attraction, featuring long time guitarist/band leader Corey Diabo, J.S. Baciu (Bass) and Martin Lavallee (Drums). Their highly anticipated new album Big Slice was released in Canada on September 14, 2010 on Big Slice Records/Select Distribution and cracked the Top 15 nationally on Soundscan in the first week of sales. 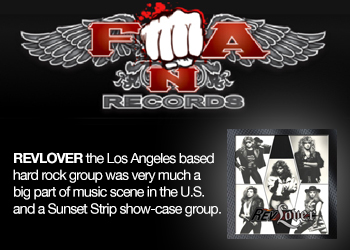 The title track and first single “Big Slice” went out to rock radio in June and hit Top 10 nationally in December on the Mediabase Active Rock Charts. The song peaked at # 7 in January 2011 alongside some of the biggest international names in rock (Ozzy Osbourne, Kings of Leon, Three Days Grace). If Jonas Tomalty seems at home onstage, in front of thousands of people, he comes by it naturally. As an adolescent, his father, insisting on a rock and roll education rooted in the blues, used to sneak him into jams at local Montreal bars. His mom's response? She helped her fourteen year-old son iron his fake I.D. and came to support him at all of his shows! Jonas gigged around Montreal in various bands until he met Corey Diabo (Playing Joe Perry to his Steven Tyler) and he knew instinctively that he'd found his musical soul mate. Jonas made his first major impact on the international music scene in 2004 when he was picked for the opening slot on Van Halen's North American tour. This was the ultimate school of rock. The next year his debut album - Jonas - produced by Dale Penner (Nickelback/Matthew Good Band) was released featuring the hit single "Edge of Seventeen." 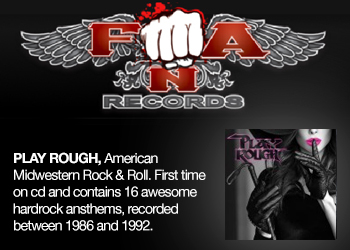 The near platinum selling album received rave reviews and was nominated as “Rock Album of The Year” at the Juno Awards along with Hedley, Our Lady Peace, Theory of a Deadman and the eventual winners Nickelback. That same year Jonas was also nominated as “New Artist of The Year.” In 2006 Jonas released his sophomore album Suite Life with producer John Webster (The Cult/The Scorpions) at the helm. The album is approaching Gold status in Canada and spawned the hit singles “Here She Comes” and “Bows & Arrows.” In 2007 Jonas headlined his own show at the Bell Centre in Montreal to over 7000 fans and followed it up with a national tour supporting Collective Soul in 2008. The iconic Bell Centre performance was released through Universal as a world class DVD entitled “Live At The Bell Centre” in 2009. While most charismatic front men leave their bands to pursue solo careers, Jonas has done exactly the opposite. Jonas wanted his fans to realize that this has never been a solo project. He wanted the name of the band to reflect that. And so - Jonas & The Massive Attraction was born. To this end, Jonas and Corey went to L.A. in the fall of 2009 to write with Simon Wilcox. Wilcox, the daughter of iconic rock guitarist David Wilcox, is not only a talented artist in her own right but an in demand songwriter for EMI Music Publishing, who has penned tunes for Beast, The Trews and Three Days Grace to name a few. 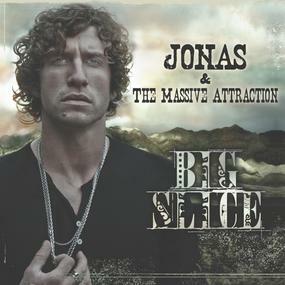 The collaboration was an unqualified success and resulted in the songs for Big Slice - the first offering from Jonas & The Massive Attraction. 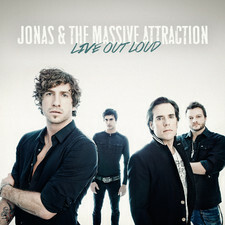 For this release, Jonas took a much more personal approach, co-writing nine of the eleven songs and co-producing the new album. His goal was to write songs that were powerful with just a guitar and a voice. "We wrote this album with the intention that the songs stand strong in their most simple state. Great songs have a raw emotion at their core. We then layered the instruments to build up an album that’s big in sound and very much us in every way." says Jonas. In the spring of 2010 the band met with producer Thomas “Tawgs” Salter (Josh Groban/Lights) and the chemistry was instant. It was decided there and then that “Tawgs” and Simon Wilcox would work together to produce Big Slice. The team worked fast and furious, feeding from each other’s enthusiasm. A fresh, more contemporary sound began to evolve that drew from Jonas’ extraordinary voice and the band’s raw power. 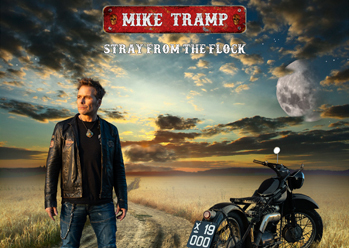 To add to the magic, mixing guru Mike Fraser (AC/DC/Metallica) was brought on board to mix the singles and mastering legend, Greg Calbi (U2/John Mayer/Deep Purple) at Sterling Sound in New York added the final touches to the album. It’s difficult not to expect something special from such a talented group of artists. The first single has not disappointed, garnering strong support from rock radio throughout the country - right out of the box. Based on the strength of the songs and outstanding production, Big Slice marks a candid step forward for Jonas & The Massive Attraction. Epic songs like “Seize The Day”, “Burn Bright” and “The Deep End” fit perfectly alongside hard nose rockers “What Type O’ Ride Are You” and “Addiction”, songs that are synonymous with the band’s past. Ed Roland of Collective Soul contributed “Not A Hero”, a song he co-wrote with producer Thomas “Tawgs” Salter. With both Jonas and Corey being involved in the songwriting, they were able to stretch their creativity to new heights. 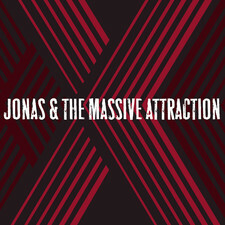 The result is a diverse yet decisive album with Jonas’ voice as the common thread that connects the songs like chapters in a book and clearly establishes Jonas & The Massive Attraction as a rock band to be reckoned with. Through their commanding live performance and blue collar work ethic, the band is following in the footsteps of such great Montreal acts as Arcade Fire, Simple Plan, Sam Roberts and Beast, who have gone on to national and international success. 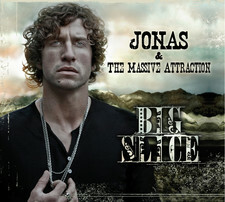 With the release of their new album Big Slice, Jonas & The Massive Attraction will dig deep to continue that trend.